Keith Missildine, a native of Glynn County, was raised in Atlanta and educated at Georgia Southern University. After college, Keith made a small start up restoration business in Atlanta, which grew to be very successful through the 20 Year endeavor. Being married and a father of two young children, he was drawn back to his hometown roots for a different pace with family quality as the driver. 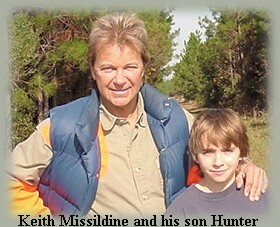 Being a shooting sports enthusiast, Keith worked for several years as an instructor at the Sea Island Sporting Clays Range with his world renowned Uncle, Fred Missildine, holder of 38 world championship titles. Currently, twenty-five percent of the old plant has been renovated and occupied and there are plans to restore the remainder as well. In a labor of love, the 400 year old heart pine and cypress beams have been retrieved from the structure and salvaged for a variety of wood products to sell to other lovers of history. Kathie Akins, long time personal friend of the Missildine family has played an intimate part in the research and development of this endeavor. Kathie feels just as strongly about the preservation of this property and sharing its treasures as the developer. She warmly receives the many calls and correspondence for the project'.